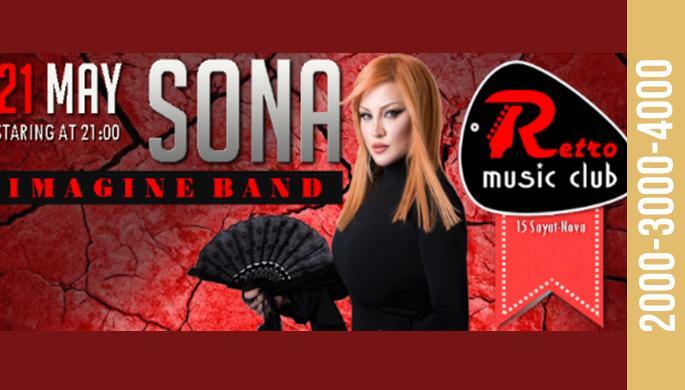 Our guest is popular and beloved singer Sona.Enjoy powerful voice ,indescribable song performances full of energy, evening with unforgettable impressions and atmosphere of Retro Club. Sona will be accompanied by Imagine Band. Ticket price: 12000, 15000, 18000 AMD.